What are the benefits of converting to LPG? What vehicle would best suit LPG? Does it take long to convert a vehicle? Will LPG affect the performance? Do I need more servicing? What compliance rules need followed? How much boot space will I lose? How safe are LPG vehicles? Can I get LPG in the country? 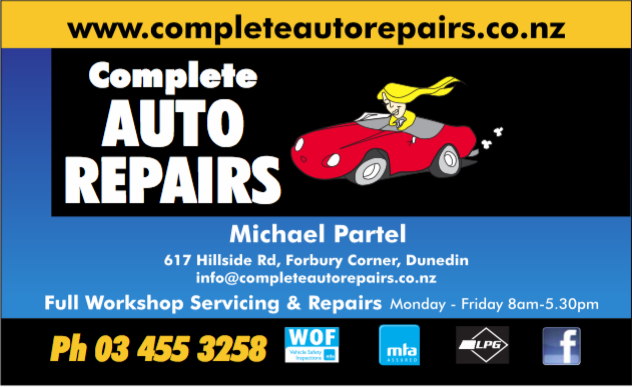 Michael has been fully qualified in the service, compliance and installation of LPG systems and is probably one of the most skilled technicians currently working on these systems in Dunedin. His knowledge and experience ensures all staff employed by us, are trained to the highest possible standards. We are also the only LPG service outlet that can also provide the fuel onsite. LPG is actually Liquefied Petroleum Gas. This is a general description of Propane (chemical formula C3H8) and Butane (chemical formula C4H10), either stored separately or together as a mix. It called Liquefied Petroleum Gas because these gases can be liquefied at normal temperature by application of a moderate pressure increase, or at normal pressure by application of cooling using refrigeration. LPG is a good substitute for petrol in any spark controlled ignition engines. Its clean burning properties give reduced exhaust emissions in a properly tuned engine. The clean burning properties and portability of LPG provide a substitute for other fuels such as wood, coal, and other organic matter. LPG is: Colourless – Odourless – Flammable. – Heavier than air. Approximately half the weight of water. – Non toxic but can cause asphyxiation. LPG expands upon release and 1 litre of liquid will form approximately 250 litres of vapour. Costs will always vary on vehicle but we can always provide an accurate quote for any application you may require. We can provide you with the system that best suits your specific needs and requirements. Just contact us for advice. As shown above you could save as much as $2617.50 per year but it does depend on your particular use. Normally you would expect to save between 30% – 50% on fuel costs. It normally takes up to two days to completely install a system but we will work with you over time frames to ensure all goes smoothly. It is normal for fuel use to increase by up to 10% compared to petrol but this is more than offset by the fuel costs. No more servicing should be required if you run on LPG. You should just continue to follow the vehicles manufacturers service schedule. The LPG system currently has a 12 month WOF system specific to the system. This system is separate to your normal vehicle WOF. Your tank carries a 10 year certificate and will require an internal and external certification test on this 10 year cycle. This does depend on the size of the tank however on some vehicles a donut style tank can be fitted into the spare wheel well although this will require relocation of the wheel or the provision of an alternative puncture option. All LPG systems have many safety features built in. They have two emergency shut off valves and modern injected vehicles also have safety alerts built into their systems. There are many rules and regulations to ensure the safety of everyone around this gas.